Cameron Mackintosh holds Open Call Auditions in Manila on March 15-16, 2016 for various roles of Miss Saigon, one of the longest-running musical productions in Broadway and Westend theaters and reopens on Broadway in 2017. All applicants must register on March 11-12. Auditions in Manila will facilitated by Bobby Garcia and Atlantis Theatrical Entertainment Group (ATEG) and to be held at the Opera Haus (3657 Bautista St., Makati City). 2. Prepare 16 bars of a song from Miss Saigon (a pianist will play the piano for you). Or bring your own music score or CD. “Miss Saigon’s producing and creative team will be flying in from London to hold auditions for various upcoming global productions of the hit musical. I look forward to working with them in discovering a new generation of Filipino talent to shine on the international stage in Miss Saigon the way Lea Salonga, Joanna Ampil, JonJon Briones and Rachelle Ann Go, among many others, have in the past.” says Garcia, who was also an Associate Director for Miss Saigon. 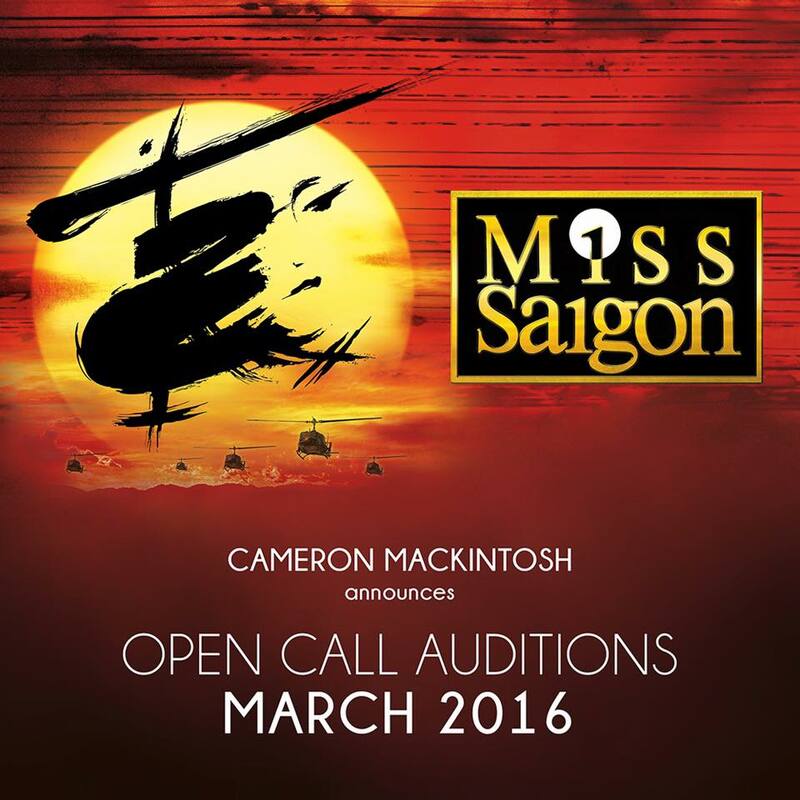 “We are searching for Kim, The Engineer, Thuy, Gigi and all Asian roles in the musical. From leads to ensemble, from singers to acrobatic dancers, we encourage performers throughout the Asian region to come to Manila and audition for Miss Saigon.” adds Garcia. 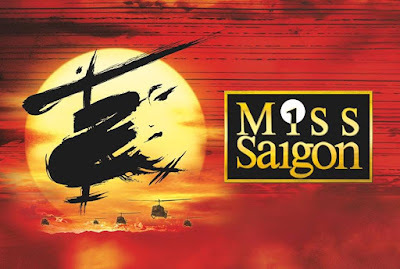 Miss Saigon is composed by Claude-Michel Schönberg and Alain Boublil, and lyrics written by Alain Boublil and Richard Maltby, Jr. (Closer Than Ever) with additional lyrics by Michael Mahler, based on Giacomo Puccini’s popular opera, Madame Butterfly. 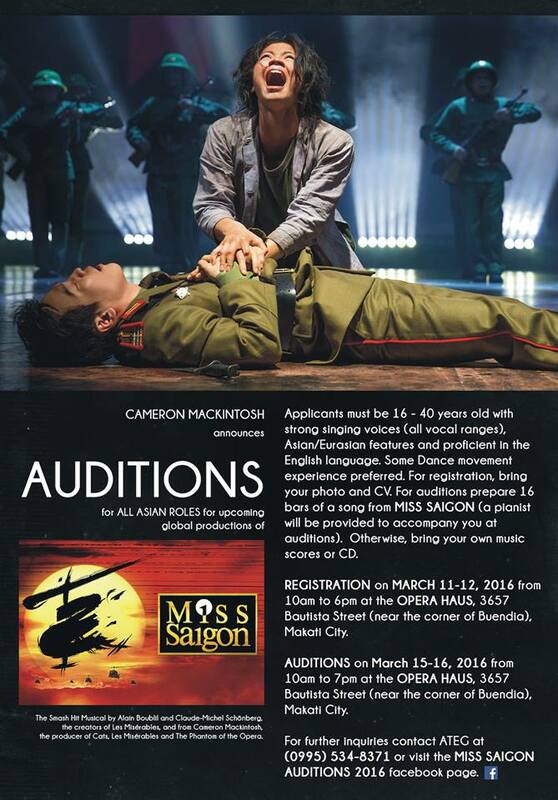 For more information contact (0995) 534-8371 or like the Miss Saigon 2016 Auditions page on Facebook.